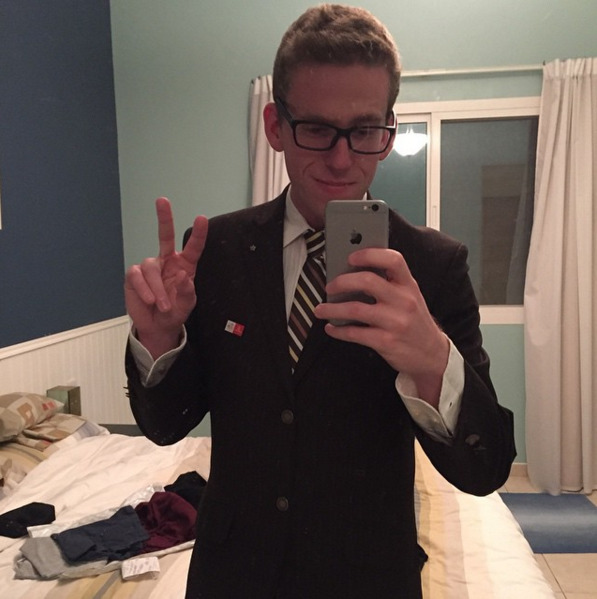 Ben Schlappig is a 25 year old travel blogger. 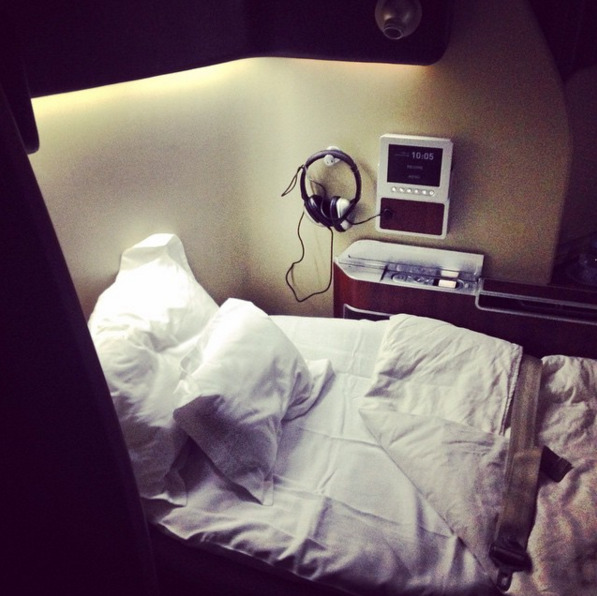 And he's homeless, because he spends most of his time in the sky, flying first class — for free. He says anybody could get free first class tickets, if you play it smart. 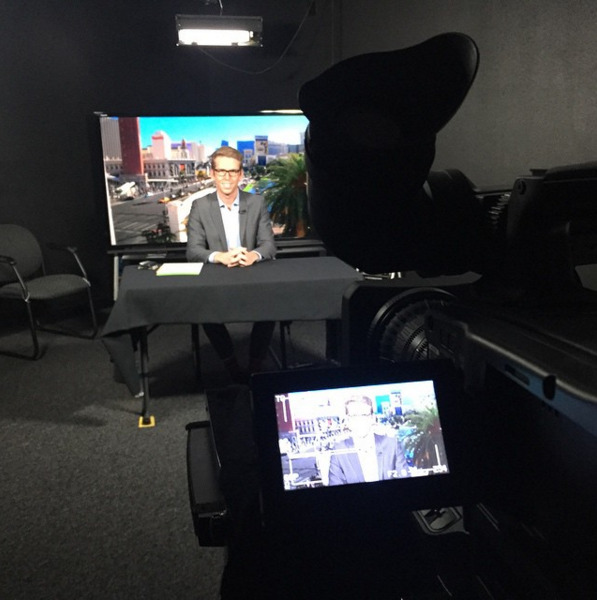 "It sounds cliché, but I'm living my dream," Schlappig told Business Insider. Schlappig is a popular travel blogger. His blog, called "One Mile at a Time," has over 34,000 Twitter followers and 55,000 Instagram followers. Traveling is more than a hobby for Schlappig — it's a near obsession. 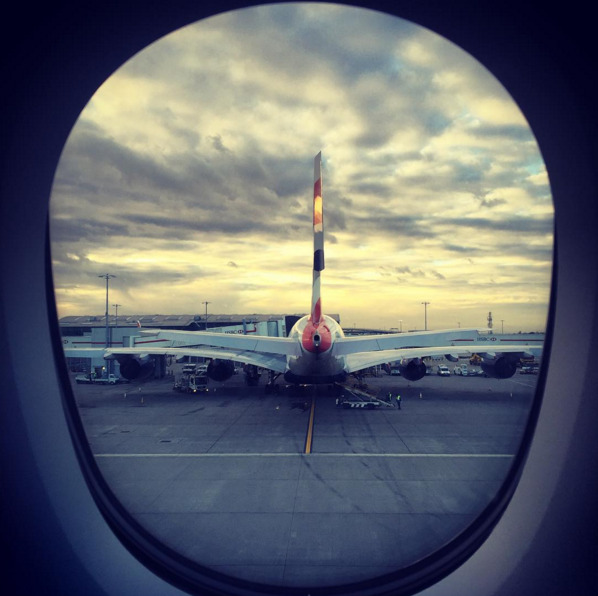 "Since a young age, all I ever wanted to do was to fly and travel," he tells us. That obsession has turned into a real job. 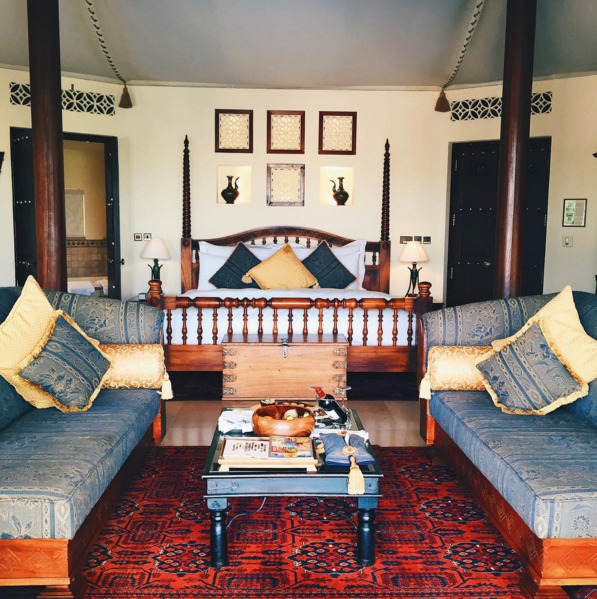 He makes a living primarily through his blog and a travel consulting business he runs. 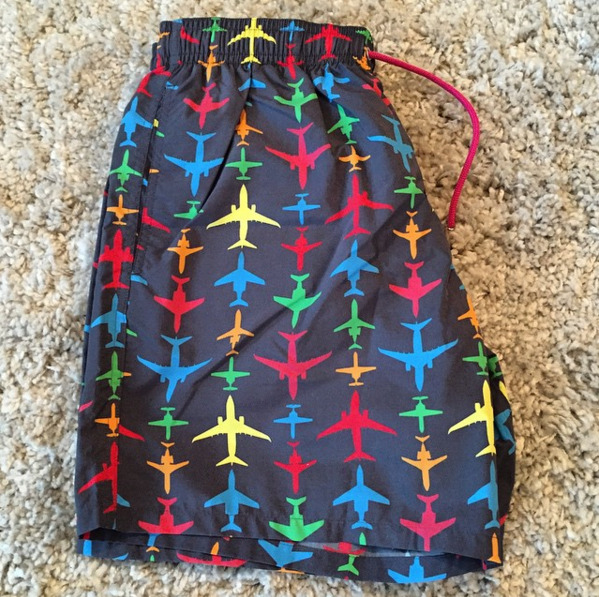 This is his swimsuit. But Schlappig is best-known for traveling around the world for free, using his frequent flyer miles and credit card rewards. Some people call him a professional "hobbyist." This year alone, Schlappig has flown nearly 500,000 miles and spent more time out of the US than in it. 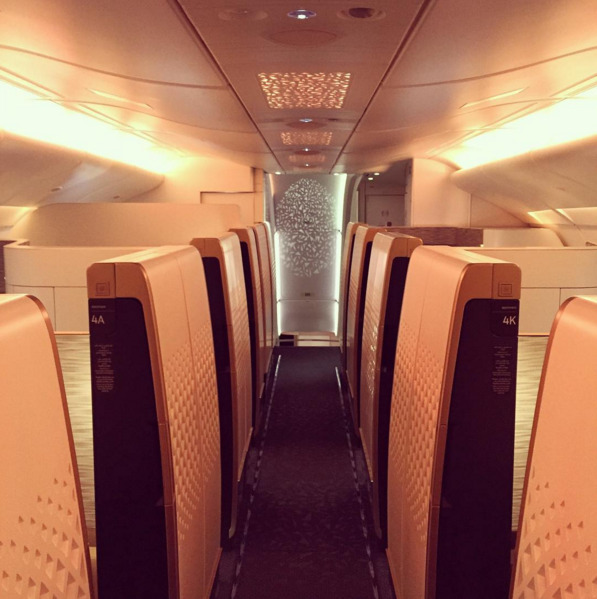 When we spoke to him this week, he was in Florida to see his parents, but was scheduled to fly out to the Maldives for New Year's — on a free Etihad first class flight, like the one you see here. So how does he do it? It's a combination of a lot of different tricks, but Schlappig says anyone could do it. 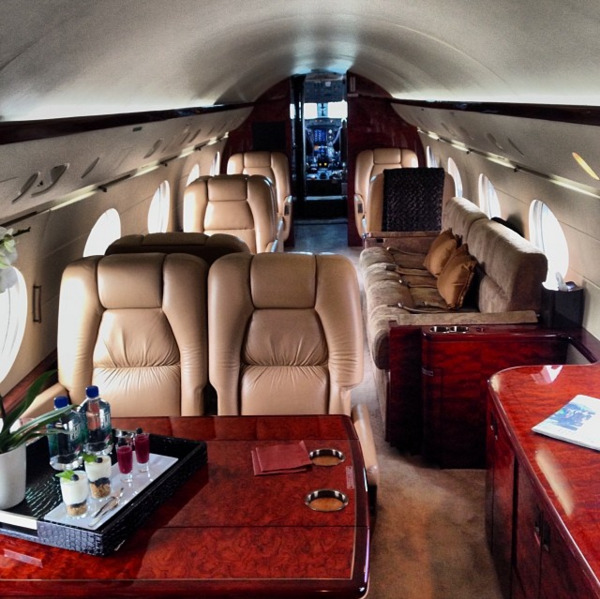 "Virtually anyone could fly first class for pennies on the dollar with a bit of effort," he says. 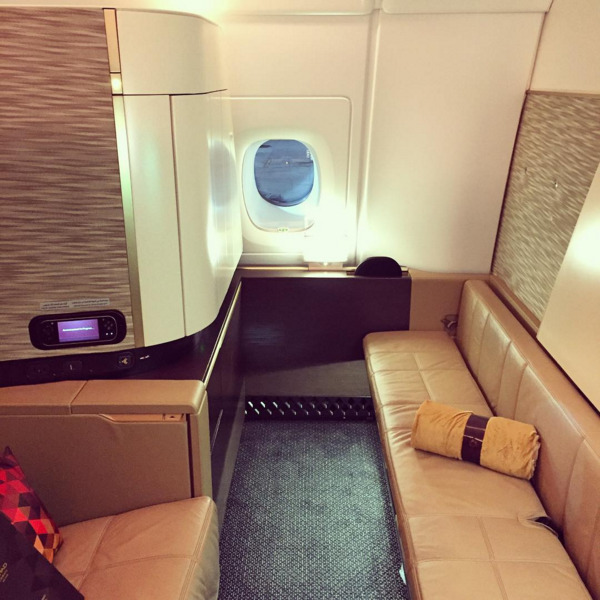 "When people walk by first class they assume the people seated there are multi-millionaires and that they paid thousands of dollars to sit there. They're not, and in most cases they didn't. They're largely just people who put more effort into earning miles than others do," he says. It's why Schlappig no longer has a home. He decided to move out of his Seattle apartment two years ago and sell all his stuff. "I'm voluntarily homeless," he says. 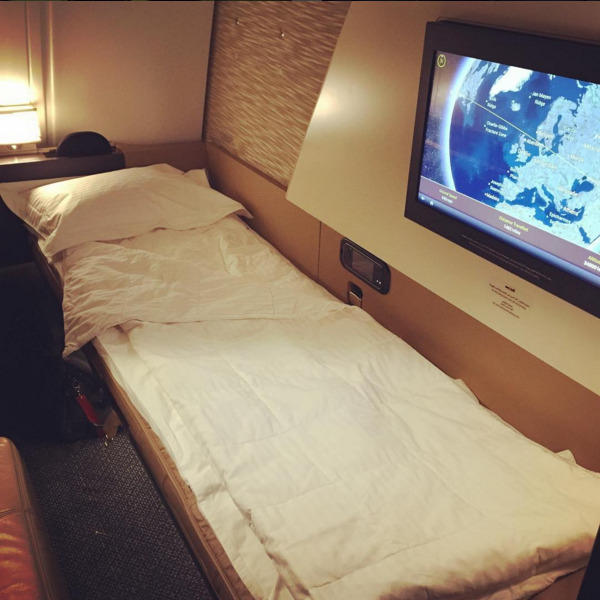 Instead, he spends most of his time on flights or hotels around the world. He takes at least one international flight every week and tries not to stay in one place for over three days. 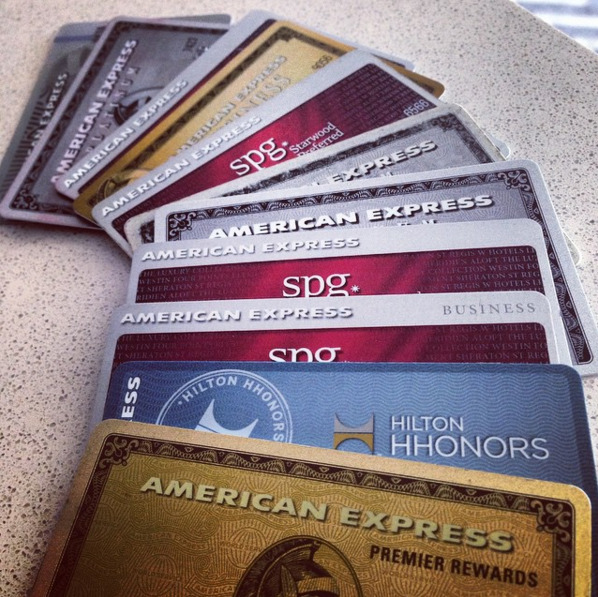 Most of his hotel stays are paid with credit card rewards and loyalty programs. That means he carries around all his stuff too. He now lives out of a single 20-inch carry-on, and doesn't even check bags. "Living out of a carry-on has taught me a lot about minimalism and how material things don't really make me happy," he says. That saves him money because he doesn't have to pay for rent, a car, or any of the fixed costs that come with living in one place. 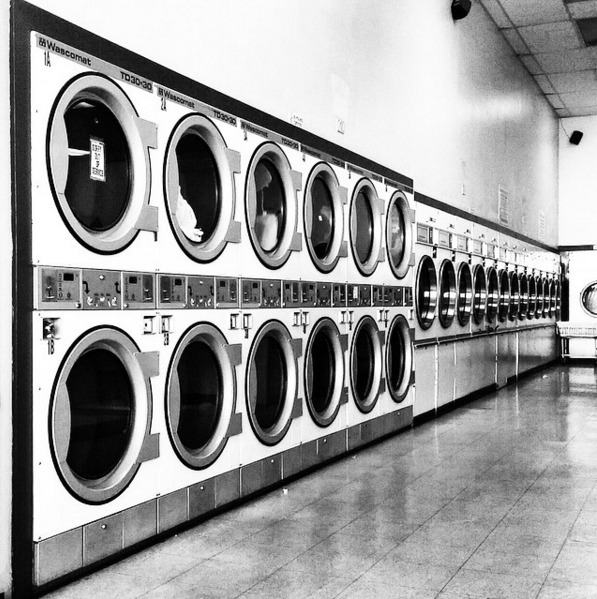 It means more time at coin laundries, like this one. But because he prefers to fly first class and stay at five star hotels, Schlappig says he ends up spending about the same as living in one place. After all, you have to spend to collect all the miles and credit card points. Still, he's getting a lot more value out of it than what he's spending. 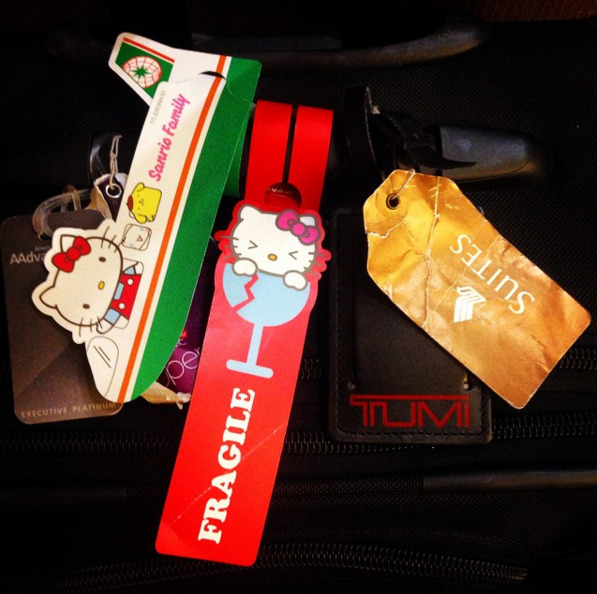 "The retail value of my travel so far this year, however, is over a million dollars. And I'm spending a *lot* less than that," he says. 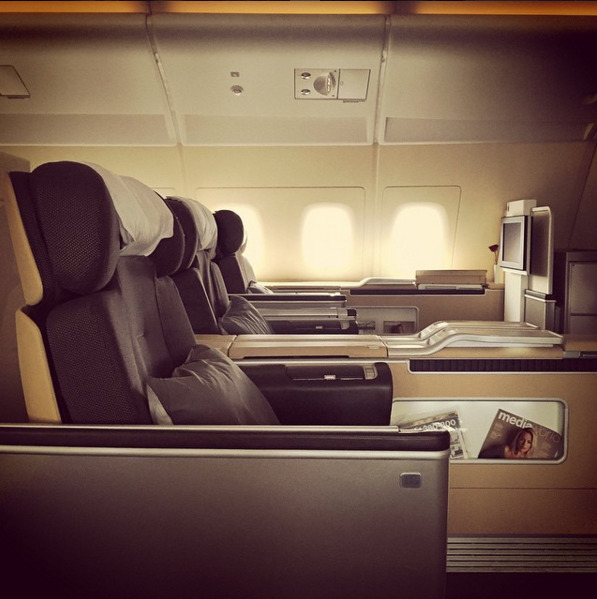 Schlappig buys almost all of his international first class tickets using frequent flyer miles. 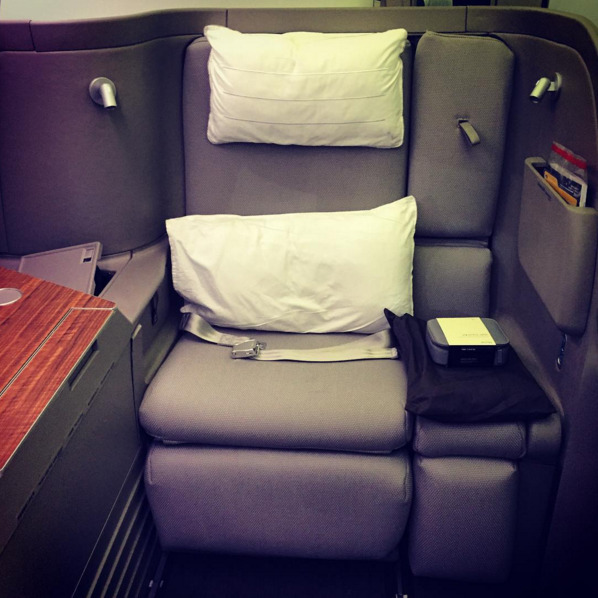 Sometimes, he'd strategically buy business class tickets if they're cheap because it gives a lot of free miles. 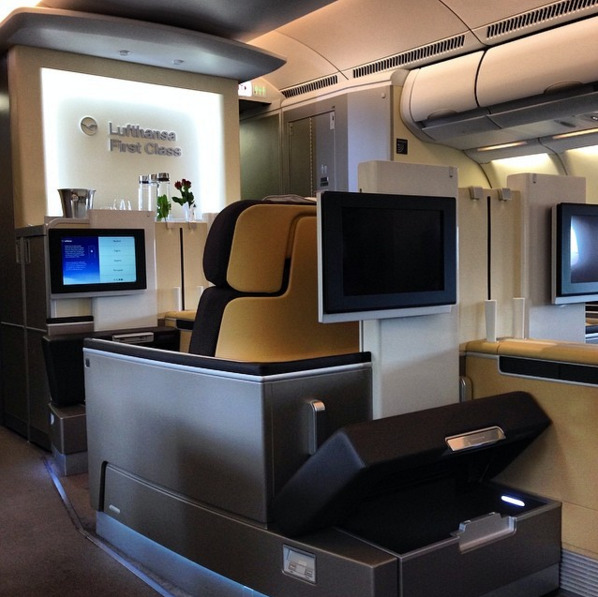 For example, business class fares out of Cairo, Egypt and Colombo, Sri Lanka are extremely cheap, he says. But more than half of the frequent flyer miles are earned through "non-flying means," he says, like credit card points or third party mileage purchase programs. "On a day-to-day basis I don't make a single decision without thinking about the ability to earn miles. 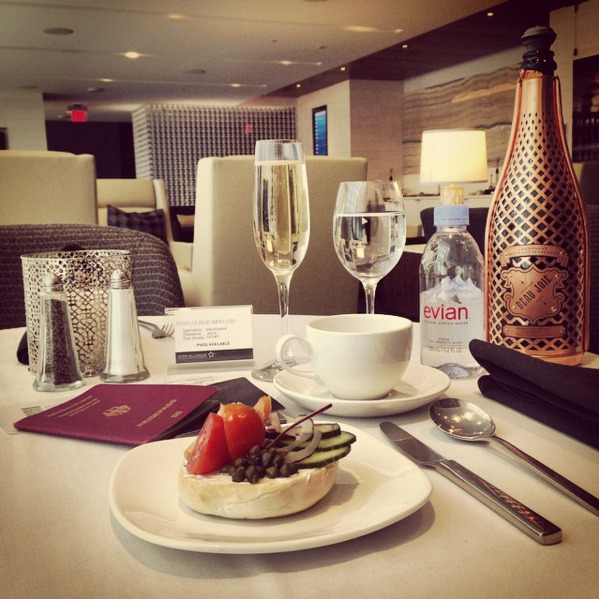 From dining to shopping, there are so many ways to earn bonus miles," he says. Schlappig gave 3 general rules for collecting a bunch of bonus miles. First, try to maximize credit card sign-up bonuses. Some cards give more than 50,000 free points for signing up and completing a minimum amount of spend, he says. Second, maximize your return on the everyday things you buy. 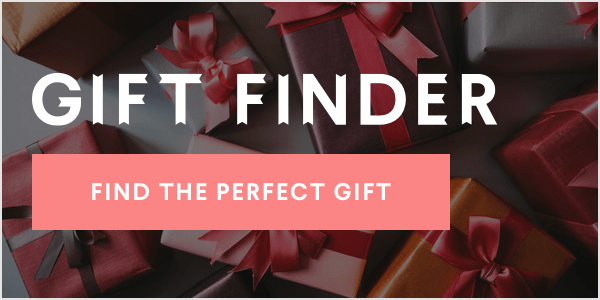 So, pick credit cards that offer the most bonus points in the categories you spend the most in. 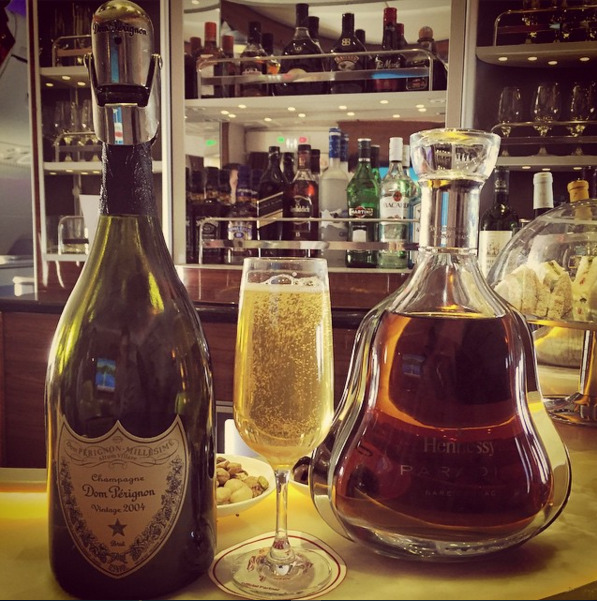 "I have a card which offers triple points on all dining and travel purchases, which covers a vast majority of my expenses," he says. 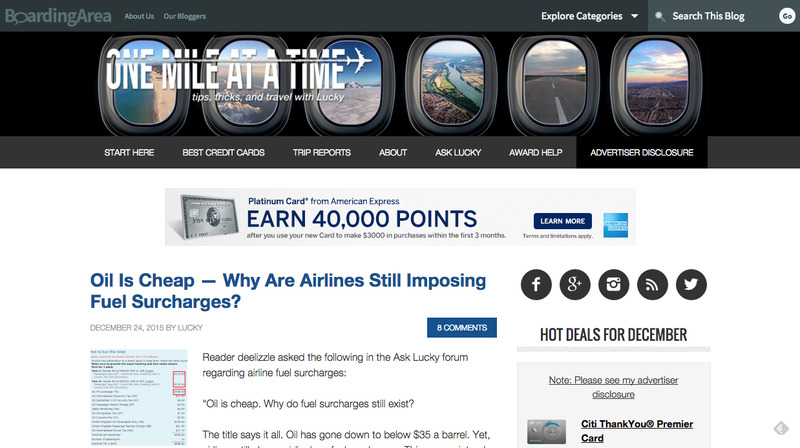 Third, buy miles when they're on sale. 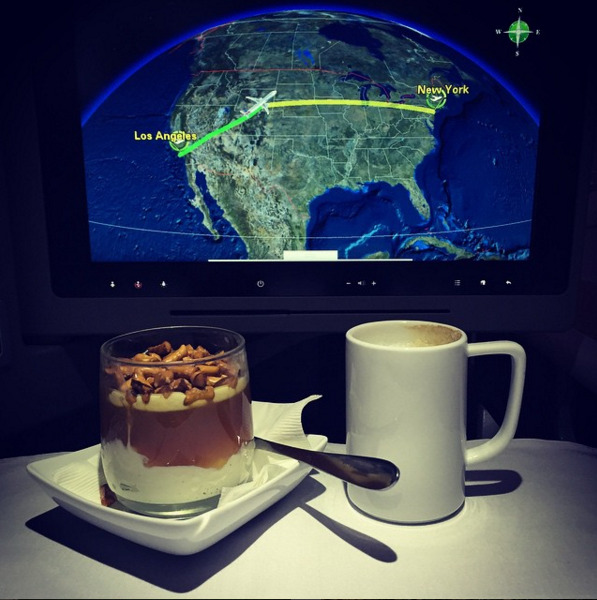 Schlappig says many airlines offer discounts on mile purchases, which he calls, "a fantastic way to fly first class for pennies on the dollar." 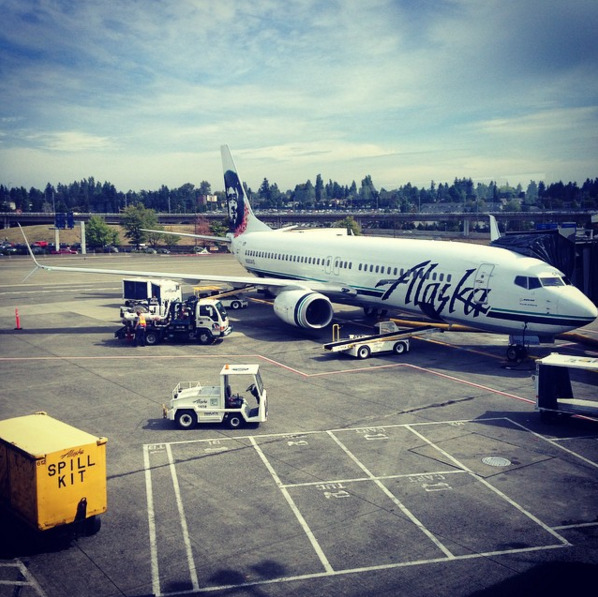 Some of his favorites are Alaska Mileage Plan and Avianca LifeMiles. You can find a long list of suggested programs on his blog. 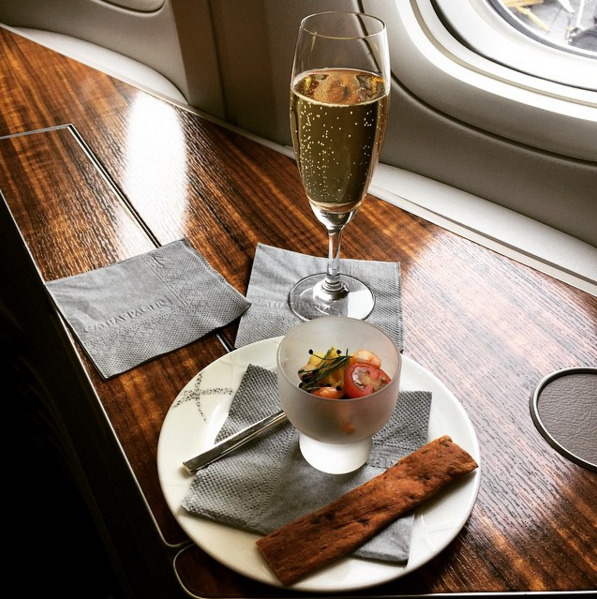 Here's a list on his blog called "Value Of Miles & Points." On top of that, Schlappig earns miles through what he calls "mileage runs," which is flying for the sole purpose of accumulating miles. For example, two years ago, he flew to Brazil 8 times in 9 days to earn miles. He also went to Beijing 3 times in a single month earlier this year. 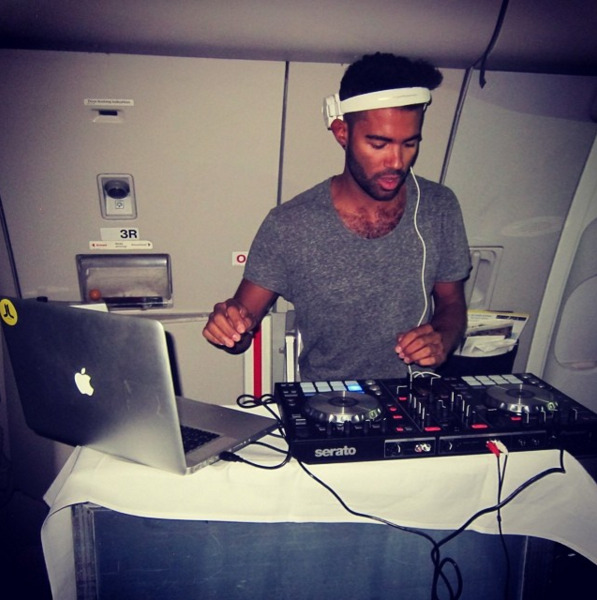 And, yes, that's a DJ playing in a plane. In fact, Schlappig has been doing "mileage runs" since he was 14, when he saw a United Airlines offer for 5,000 bonus miles per flown segment. 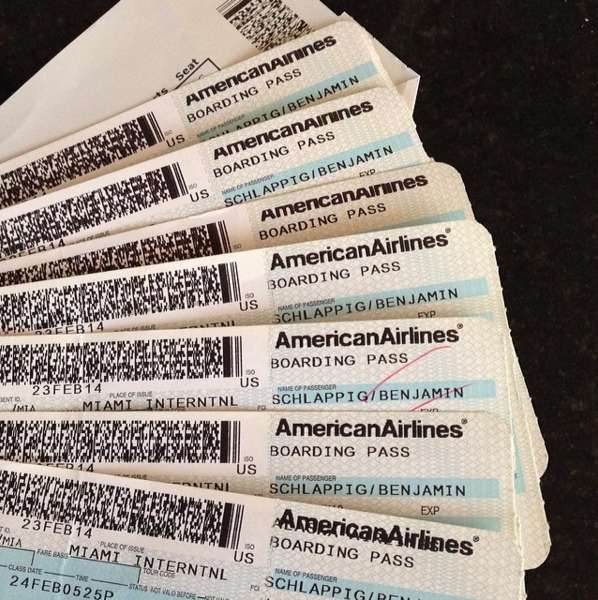 He convinced his parents to pay for his cross-country flights, which sometimes occurred 8 times in a single week. By age 15, he was flying almost every weekend. "Of course I enjoyed it, but if I'm being perfectly honest I probably even thought I was nuts," he says. He ended up racking up tons of free miles and used them for his family's annual trips to Germany, where his parents originally come from. "They were paying less on my mileage runs than they would have paid for the economy tickets to Germany every summer which they otherwise bought," he says. This quickly turned into an obsession. Once he got rejected from his first and only full time job interview after college, Schlappig decided to launch his own travel blog and just do what he loves doing for a living. He started blogging in 2008. He says the best part of his job is the fact that he gets to see the world and meet so many amazing people. 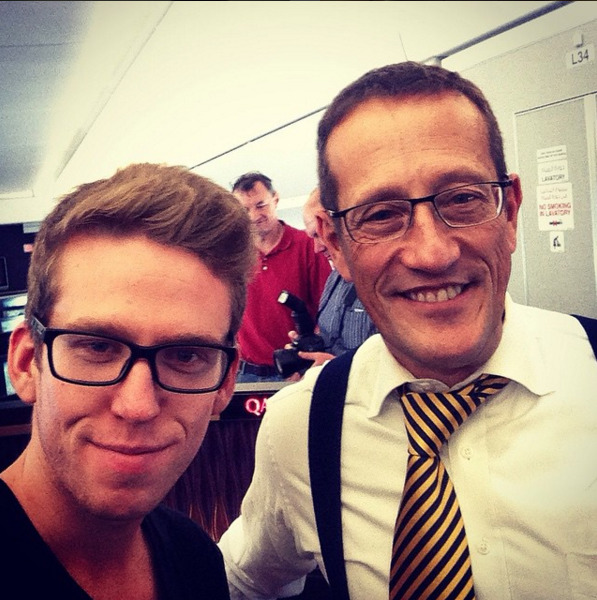 That includes countless celebrities he sat next to, like CNN's Richard Quest. 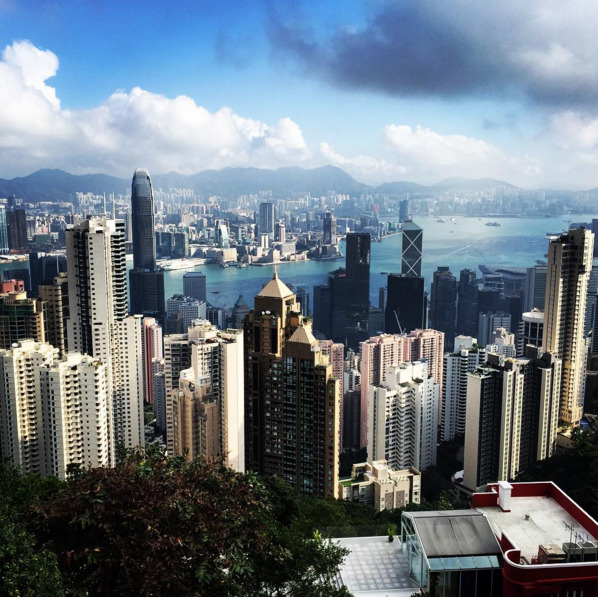 His favorite city is Hong Kong, simply because of its energy and diversity. Bali and New Zealand also rank up there as top vacation spots, he says. 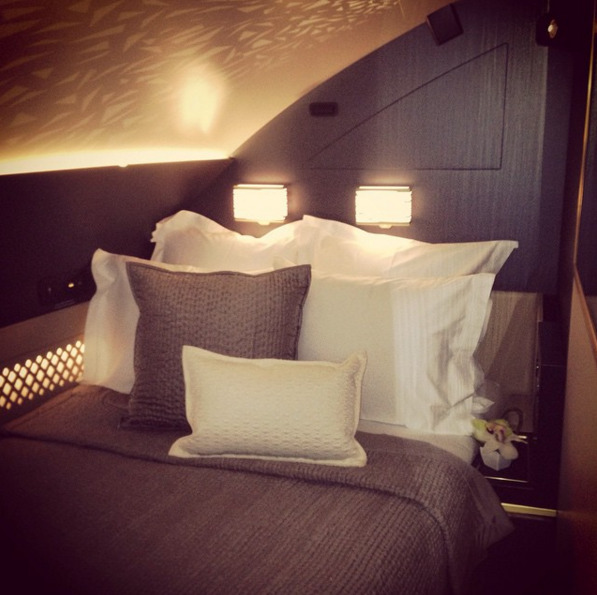 He picks Etihad's A380 first class apartments as the best flight experience ever. 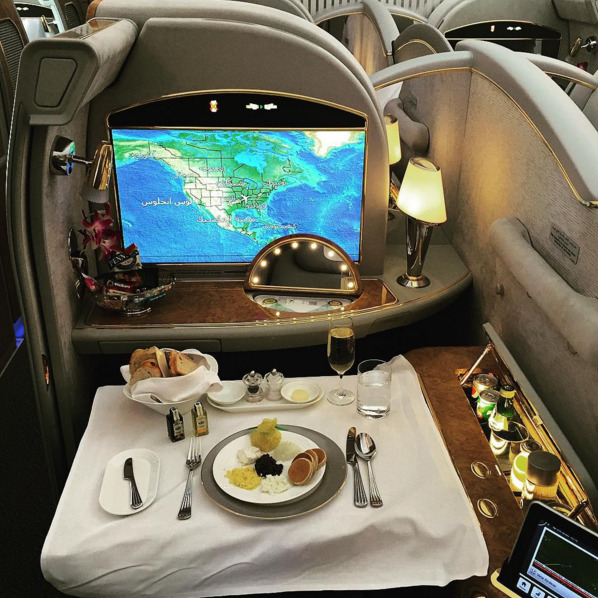 "I've reviewed all of the world's best first class products, and Etihad's A380 First Class Apartment is in a league of its own," he says. 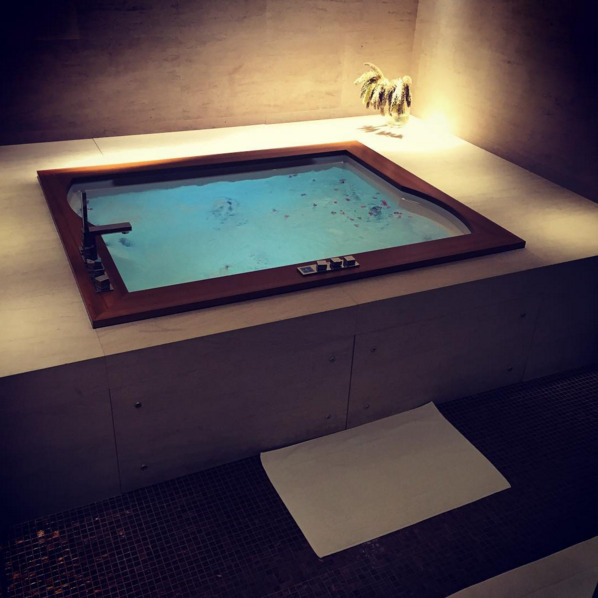 This is one of the Etihad Apartments he stayed at. 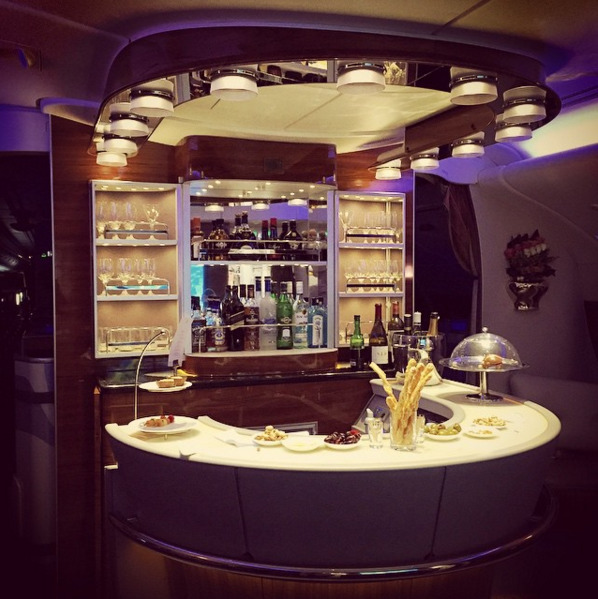 The Emirates' onboard bar is pretty amazing, too. 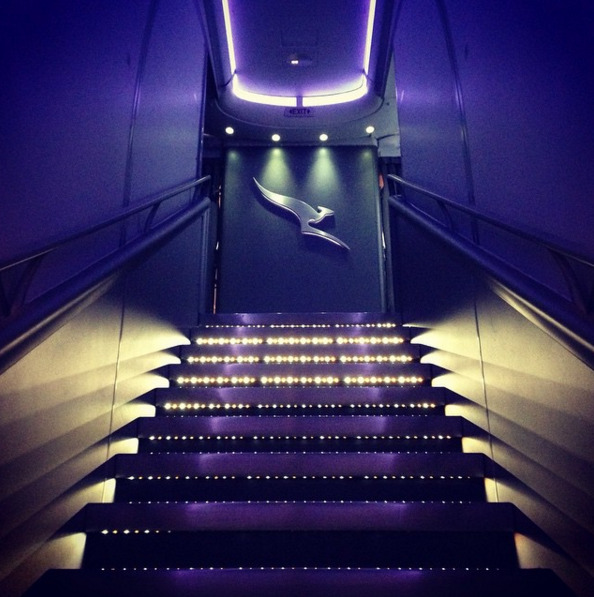 And how about those onboard showers? 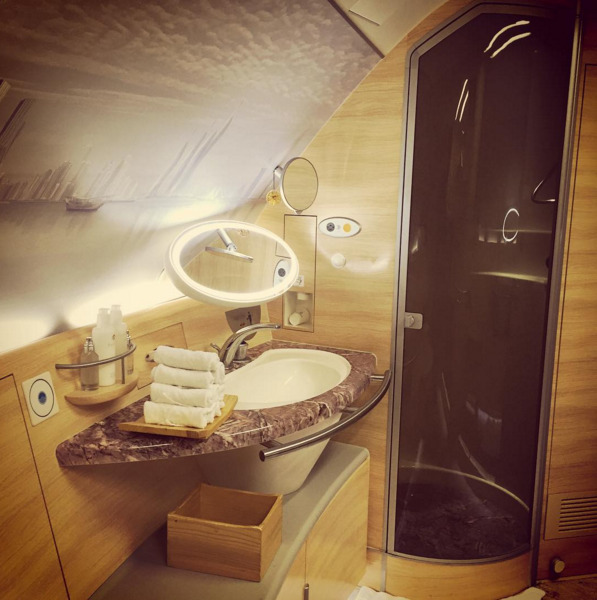 "Even though I've showered on planes over a dozen times, the novelty of showering at 35,000 feet in Emirates or Etihad A380 first class never wears off. It makes me giggle every time" he says. 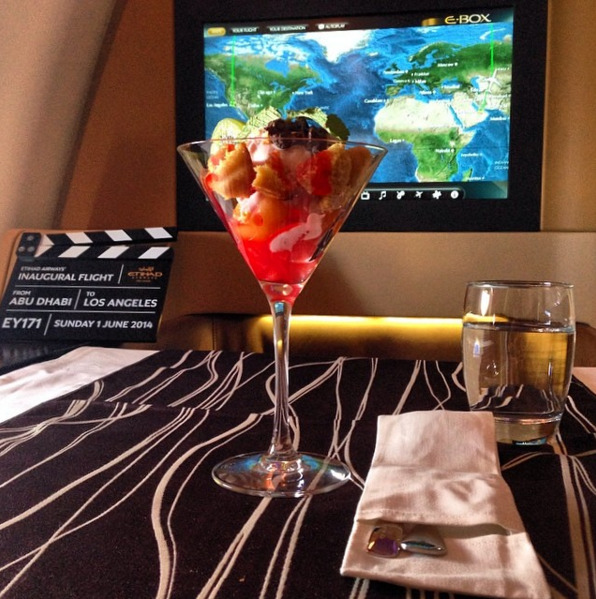 And this is one of his favorite airport lounges (by Qatar Airways). Food's better, too. 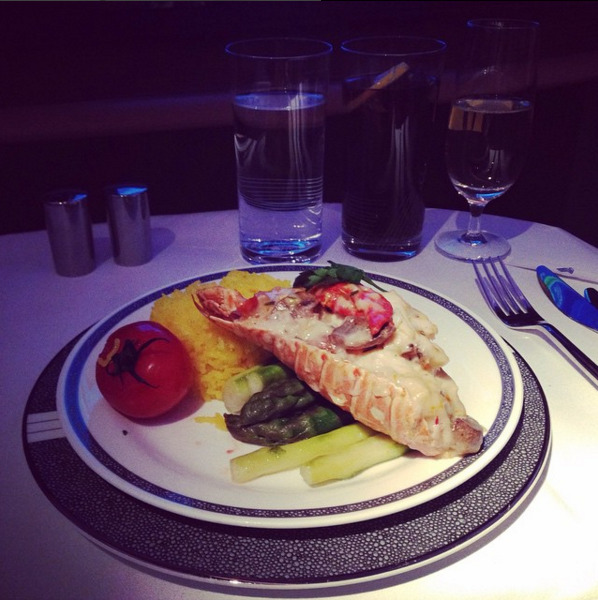 That's Singapore Airlines' "Book the Cook" lobster thermidor. 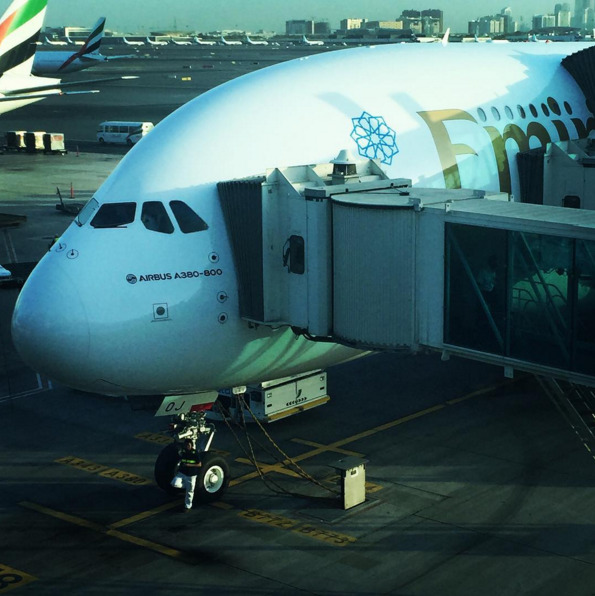 That's Schlappig's favorite plane, the A380. 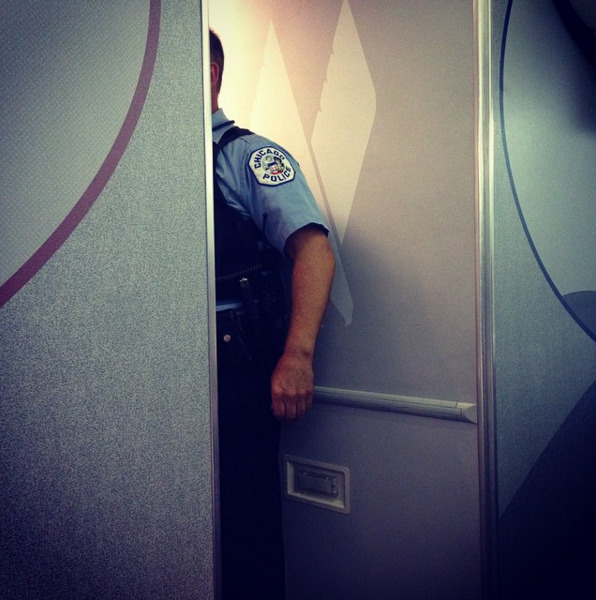 Being such a frequent flyer put him in a lot of bizarre situations, too. He says he was once removed from a flight by an air marshal because they found his flying "suspicious." He's also seen people go "number two" in the aisles, fights break out, and multiple people removed from planes by police. 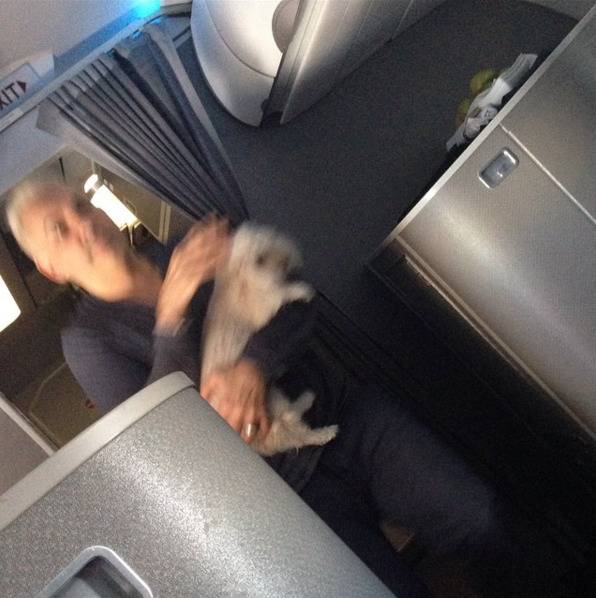 This is a picture of a first class passenger taking her dog to the bathroom. 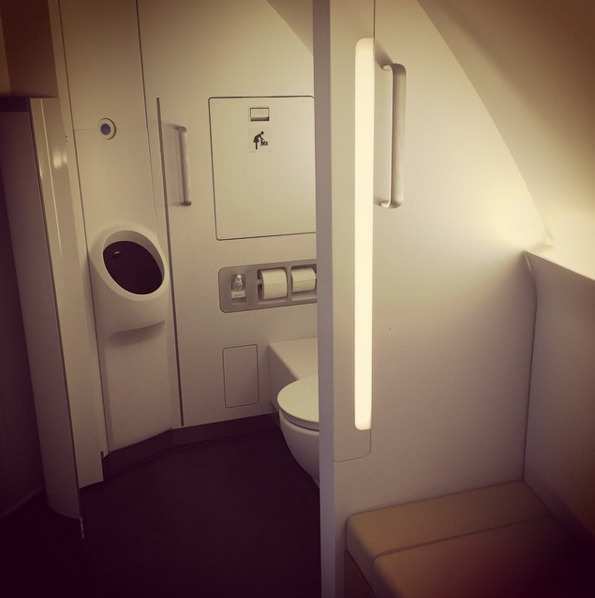 Did you know some first class bathrooms have standing urinals? If you arrive at a remote stand? Not a problem. 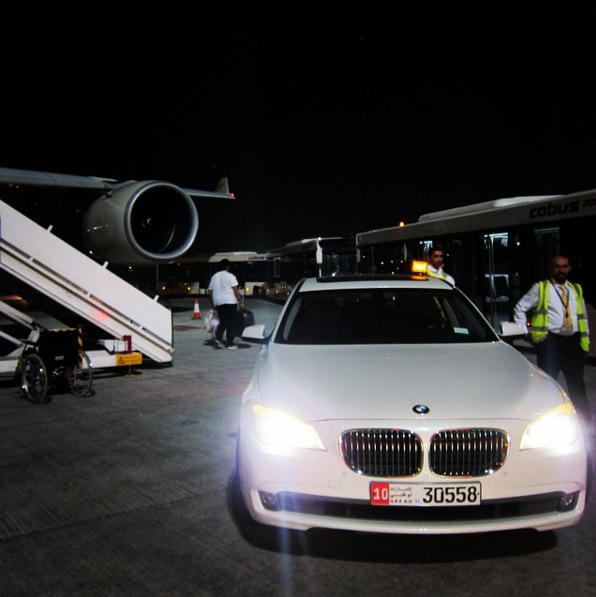 Etihad brings this BMW for you. One time, on a Royal Jordanian flight from Bangkok to Hong Kong, Schlappig thought the plane was going to crash and kill him. Following that flight, Schlappig experienced flight anxiety for months. He even told himself he'd never fly again. "That was even more devastating since flying was my greatest passion and what I enjoyed more than anything. Fortunately I'm all over it now," he says. All the traveling and not having a home can take a toll on your body. The worst part of his job is the constant jet lag and exhaustion, he says. It's also hard to have a serious relationship, but Schlappig says loneliness isn't a big issue. "I've actually found myself less lonely since living in hotels, because I can actually drop by and visit friends all over the world unlike ever before," he says. 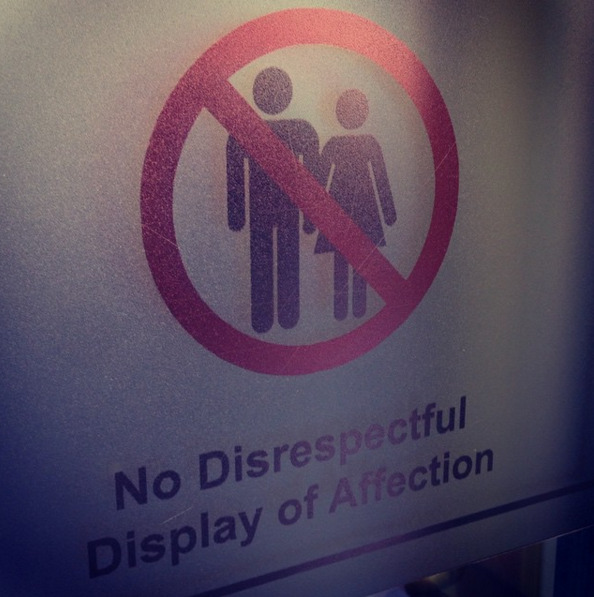 (This is a sign he found on one of his many flights). But Schlappig has no plans to stop what he's doing. "I'd love to keep doing this as long as I can, even if I slow down the amount I travel," he said. He often gets interviewed as a travel industry expert. "It sounds cliché, but I'm living my dream," Schlappig added. "What makes me want to keep doing this is that it never gets old. 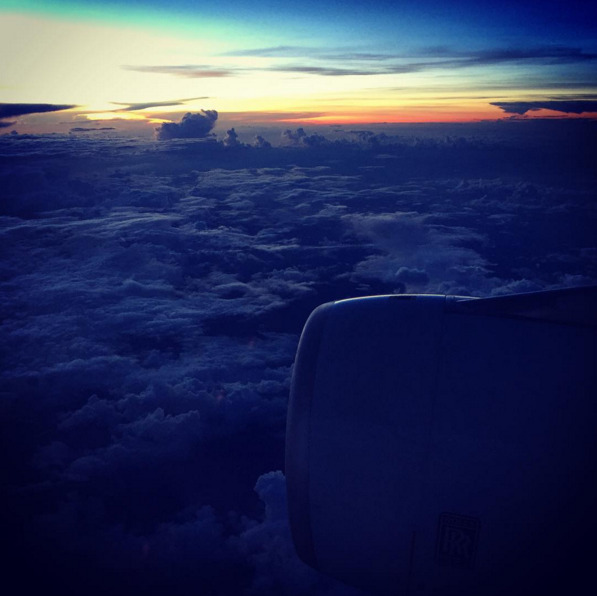 I get just as giddy watching a sunset at 40,000 feet today as I did when I was a little kid."